Guests Rev. 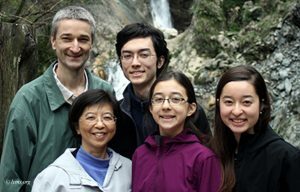 Dr. Michael and Jen-Yi “Irene” Paul serve the Lord as career missionaries through The Lutheran Church—Missouri Synod (LCMS) in Taiwan. In this role, Michael serves as a theological educator for the China Evangelical Lutheran Church. He teaches in congregations and at China Lutheran Seminary, Hsinchu. He also writes and translates Lutheran Chinese resources and helps mentor new church workers. Learn more about their story, including how to support their work, at lcms.org/paul and learn how you can serve as a missionary at lcms.org/service. Today’s program is a rebroadcast from July 20, 2017.